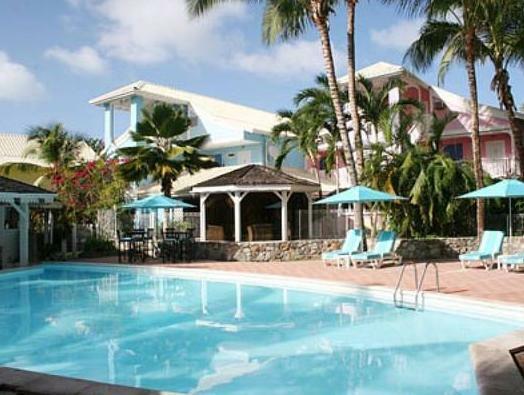 ﻿ Best Price on La Playa Orient Bay in Saint Martin + Reviews! Located in Orient Bay, this hotel offers private beach access and La Playa, the beachside restaurant. All suites feature a private balcony or terrace and Paradise Peak is 5.6 miles away. Each spacious suite at La Playa Orient Bay is uniquely decorated in tropical décor and provides a seating area with cable TV. They include totally air-conditioned and boast a kitchenette. Massage treatments are available at the hotel. Guests can relax on the beach or go for a swim in the outdoor pool. The hotel can help guests arrange car rental. scuba diving, fishing and snorkeling trips. La Playa restaurant offers meals and beach bar. La Playa Orient Bay is a 40-minute drive from Juliana International Airport and just a 20-minute drive from the luxurious casinos on the dutch side of the island.